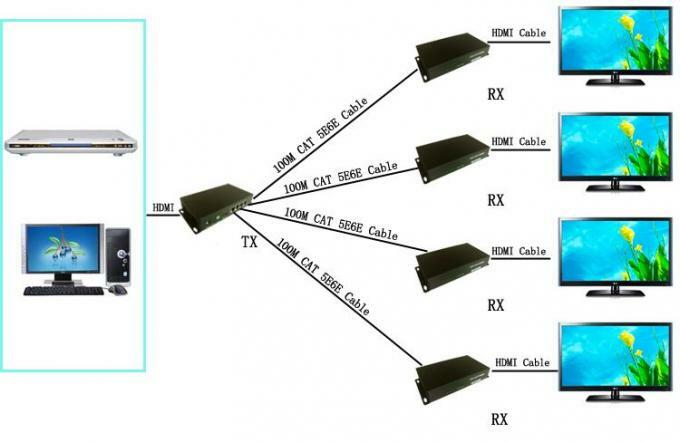 HDMI Extender Over cat5/cat6 is based on TCP/IP standard. 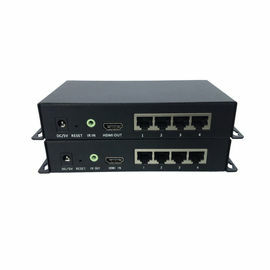 It transmit your HD display with the high resolutions up to 395 feet (120 meters) away from your HDMI or DVI-D source by using one CAT5e/6 cable. 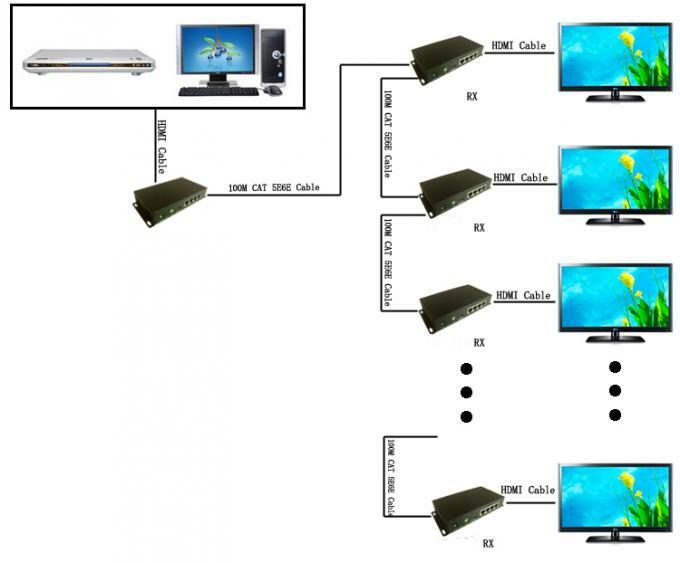 With the advantage of TCP/IP standard,you can extend your HD video to multiple displays by using an Ethernet Switch. Ethernet standards with international standards. 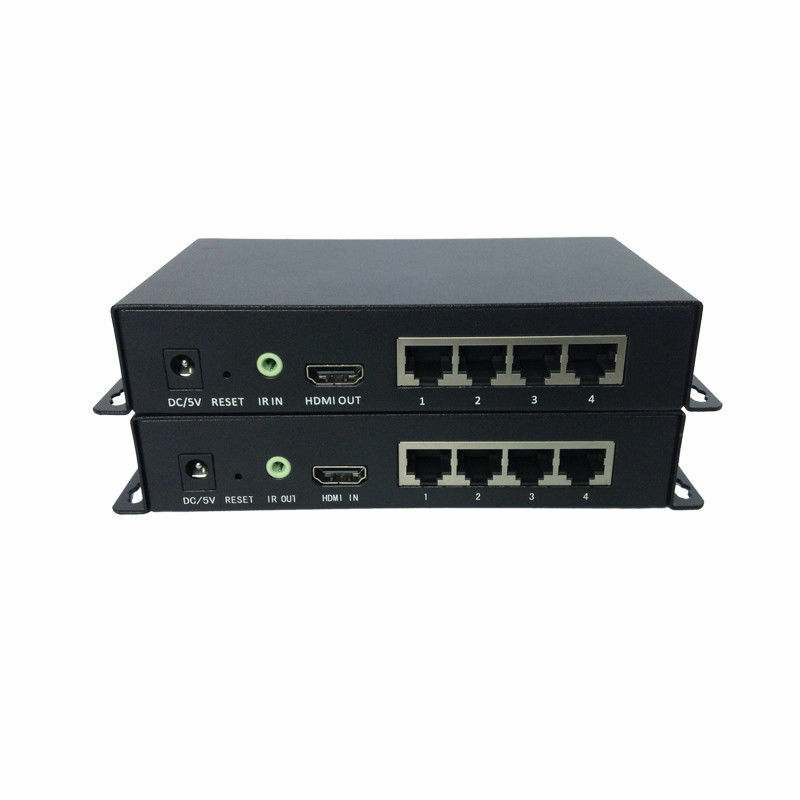 Pure hardware design, plug and play, no need to install additional software.